Utah Gov. Gary Herbert is asking Utah lawmakers to approve a $6 million budget recommendation to fund the state's arts and museums grants program. Directors of organizations applying for these grants gathered at the Utah State Capitol Tuesday in Salt Lake City to lobby lawmakers. Cache Valley Center for the Arts Director Wendy Hassan and her staff are encouraging Rep. Val Potter, R-North Logan, to support Herbert's budget request. "More Utahns attend performing arts events than any other state in the nation," she said. "This is what we do and we do well. Just look at the cultural facilities we have invested in publicly and privately and how much a part of our culture this is. But what I think is most important about this opportunity is the return on investment for the state." The 2019 Utah Legislative Session opened Monday. Potter and Sen. Scott Sandall, R-Tremonton, chair the legislative Business Economic Development and Labor subcommittee. They are scheduled to review the governor’s funding recommendations during the 2019 session. Utah Division of Arts and Museums Director Vicki Bourns manages the current grants budget of $1.6 million. The majority of the money comes from the state. Nearly $600,000 of support comes from the National Endowment for the Arts. "I think it is the best place for their money, because of the process that we go through, because of the training that we provide and because of the support we give to museums and arts organizations," Bourns said. Directors of Utah's arts and museums organizations will gather at the Utah State Capitol for Museums Day in January and Arts Day in February. Bourns expects organizers will meet with lawmakers and demonstrate what they do through displays and conversation. Unlike most organizations or agencies that support funding for the arts and museums, Bourns said the UDMA is able to help with general operating support. Applications for the next round of funding are due March 22. 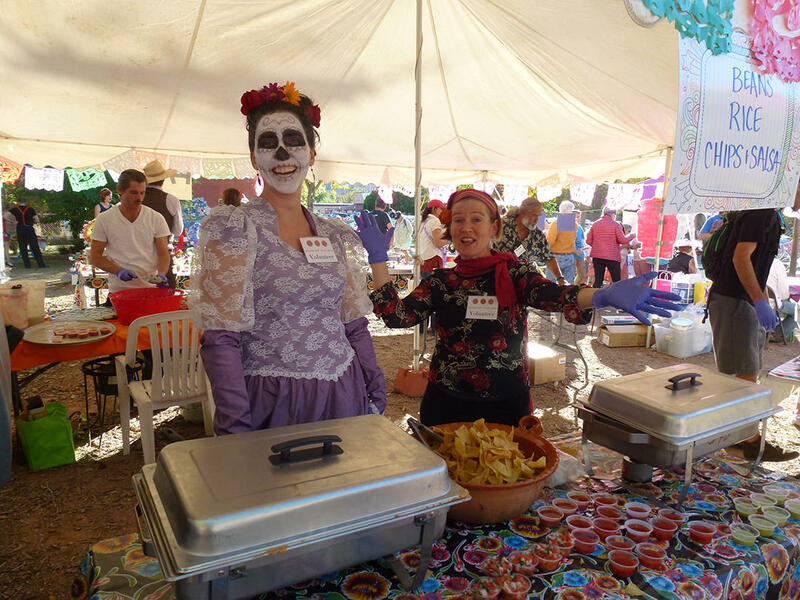 Projects that are eligible for funding include bus transportation for public school field trips or cultural celebrations similar to the Moab Valley Multicultural Center’s Dia de Los Muertos Festival. "If you are in a more rural area you don't have access to the large cooperation and the large foundations that maybe the large urban museums and arts organizations have access to," she said. "So we want to make sure those organizations get a fair shake as well. Arts and museums managers won't learn until March 14, the last day of the session, whether or not the governor's proposed funding increase request is approved. Ticket speculation — similar to ticket scalping — is a problem plaguing an arts center in Cache Valley. Utah currently has no laws against scalping. Ticket speculation — similar to ticket scalping — is a problem plaguing an arts center in Cache Valley. And Utah currently has no laws against scalping. Where Did The Piano Keys Come From? Walking down Main Street in Logan, I noticed something odd about the center street crosswalk. Getting closer, I noticed it had piano keys painted from one sidewalk to the other. I like to keep tabs on the art in Logan, but I had never heard from anyone that painted them. Community members and arts advocates in Utah are seeking signatures in support of a collection of Western art. The petition has been posted online by the Utah Cultural Alliance.